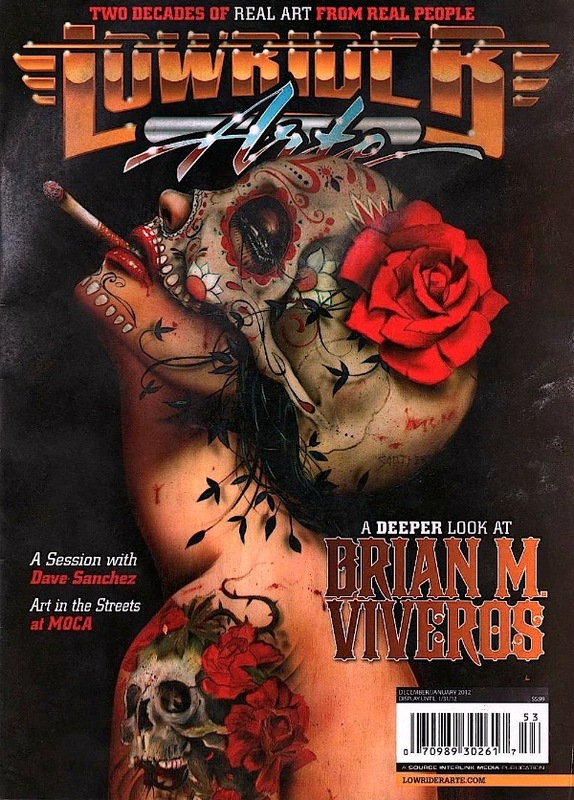 Brian M. Viveros is featured on the cover of the new issue of Low Rider Arte now on news stands nationwide. The new issue also includes a feature on Viveros’ work along with a profile on the recent ‘Art In The Streets’ show held earlier this year at MOCA and much more. Look for more from Viveros with us in the year ahead including an amazing new piece for our part in the Affordable Art Faircoming up this January. More news and details will be announced soon. Next Next post: Audrey Kawasaki on the cover of the next Juxtapoz!